“We want to take advantage of the great corner location,” says new owner John Litz. 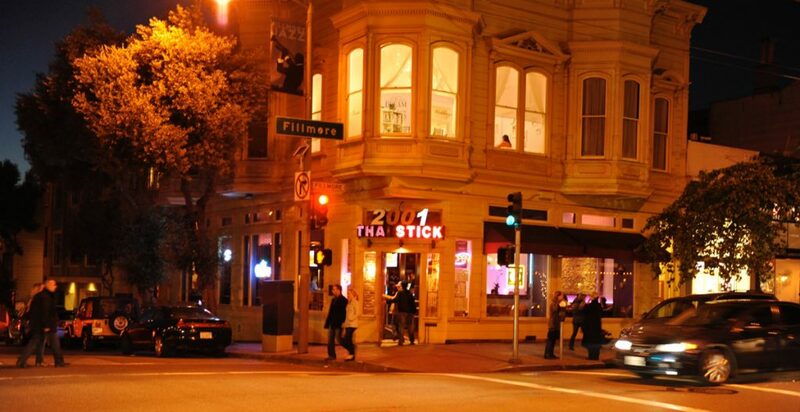 Ending months of rumors and speculation, new owners have confirmed they are taking over the former Thai Stick — once the site of the legendary Pacific Heights Bar and Grill, and before that a hippie plant store — on the choice corner of Fillmore and Pine. Three partners — one of them John Litz, co-owner and co-creator of the Michelin two-star Lazy Bear in the Mission — have signed a lease and hired an architect for the space at 2001 Fillmore and hope to open their new restaurant in the fall. Litz, a neighborhood resident who has built and sold successful restaurants in Chicago and Mexico, managed rock bands and musical venues, turned around the money-losing House of Blues in San Diego and quietly made the star-crossed Yoshi’s on Fillmore temporarily profitable before it went bust, isn’t giving away many details about the plans for the new spot. Litz says his two chef-partners, who have no involvement in Lazy Bear, have cooked in Michelin-starred restaurants locally and abroad. “If I told you their names, it would likely give away the concept, and while it’s 99.9 percent fully baked, we’re just not ready at this moment to disclose it,” he says. He contends that whatever the restaurant is called or offers on its menu, the heart of the place will be hospitality. Litz says he thinks the neighborhood and its discerning, well-traveled locals have been waiting for the kind of restaurant and bar he plans to create. That partnership and their brainstorming became the hot dining concept called Lazy Bear, where the main ingredients, he says, are “food, socializing and learning,” not necessarily in that order. At Lazy Bear, you buy a ticket in advance as if you’re going to a rock concert. The average tab for 15-plus courses is $280 per person.